$100 Off A Weekly Rental! 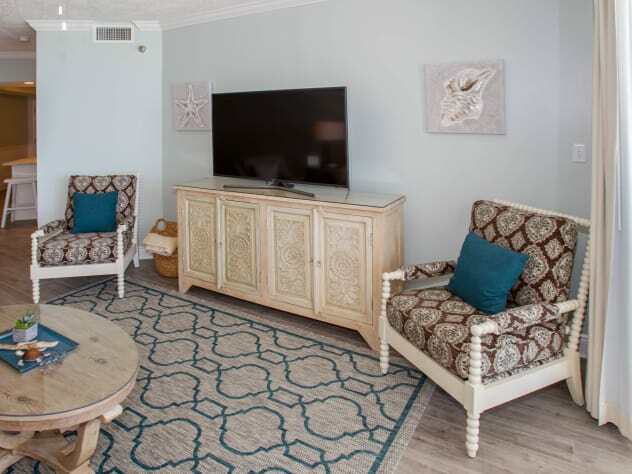 Save $100 off a Sat to Sat 7 night rental for stays between 3/23/2019 and 8/10/2019. Enter discount code SAVE100 at checkout. 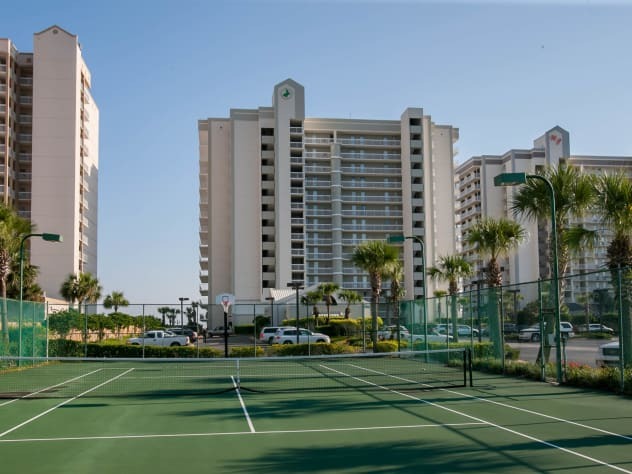 Pelican Pointe is a no-smoking/no-vaping property. Smoking is not allowed inside the units, on the balcony, or by the pool. No pets allowed. Please note: Day is available if a $$ amount shows on the calendar. During Late Spring/Summer Season 2019 - Mid May to Mid Aug - 7 Night Minimum Stay - Sat to Sat. 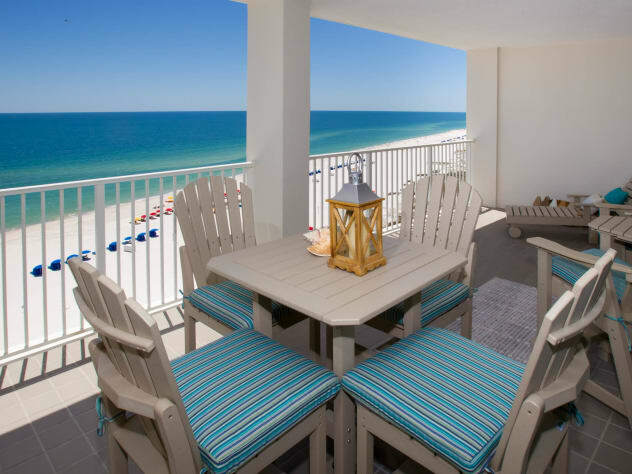 Beachfront condo on 11th floor at family friendly Pelican Pointe in beautiful Orange Beach, AL. 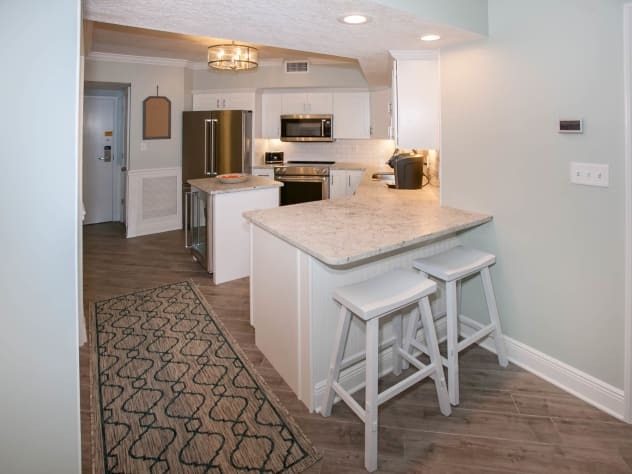 Completely renovated in Spring 2018. Condo includes 3 bedrooms, 2 bathrooms. 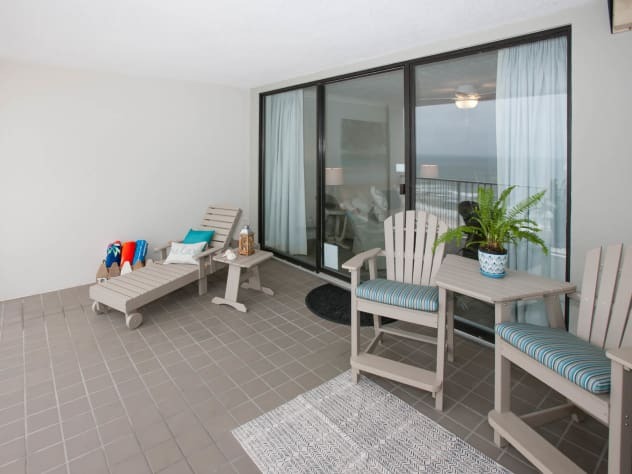 Large balcony overlooking the beach. One king bed, three queen beds, plus a sleeper sofa. Sleeps up to 10. 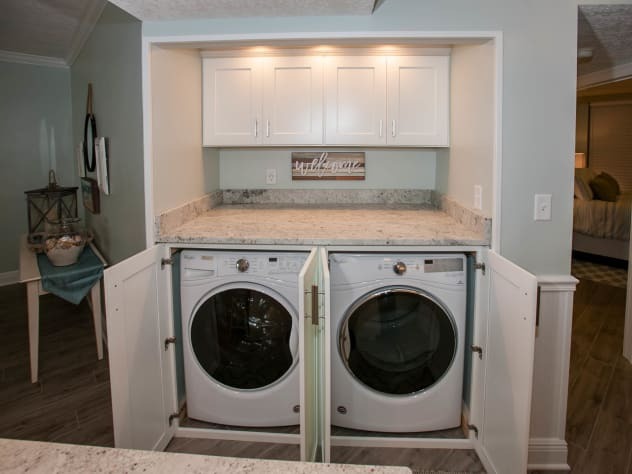 Whirlpool front loading washer/dryer in unit. Bathroom towels and linens provided. Please bring your own beach towels. 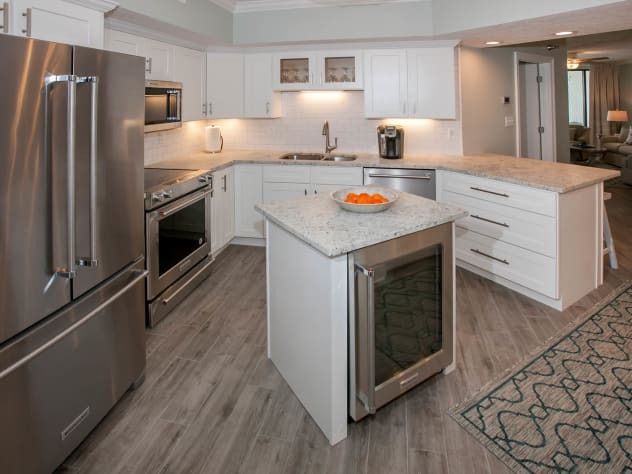 All Kitchenaid stainless appliances and iWaves air purification system. 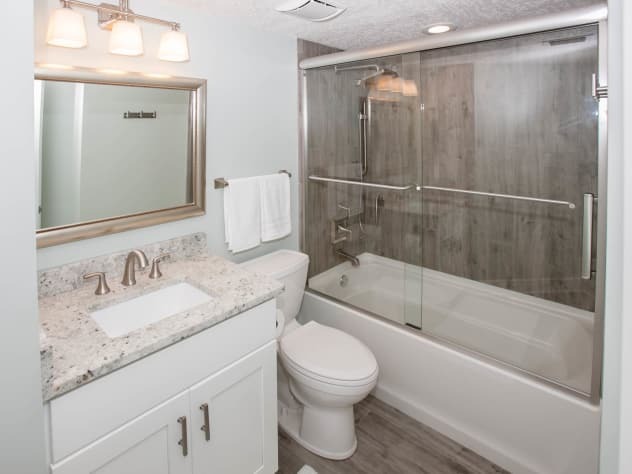 Ceramic tile floors, leathered finish granite counters and vanities. 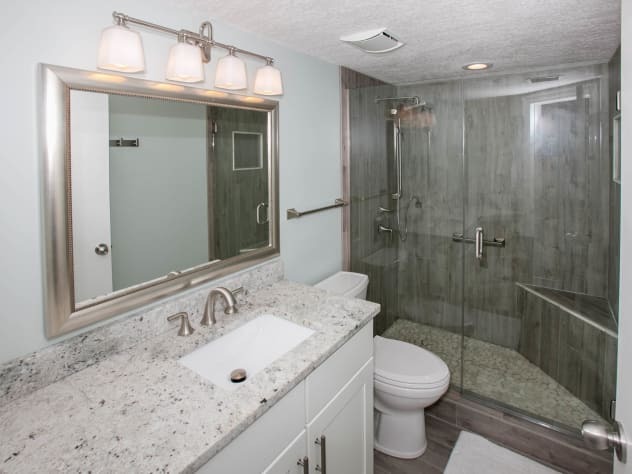 Master bath has a walk-in, ceramic tile shower with seat and glass door. Guest bath has a shower/tub with ceramic tile walls and glass door. Crown molding throughout the condo. Smart TV's allow you to stream movies using your own Netflix or Amazon account on the secure high speed internet/Wi-fi. Nintendo Wii Console with Wii Sports game and 4 controllers is provided. Bring your own games if you'd like. USB base plugs in kitchen, living room, and bedrooms to charge your electronics. Adirondack patio furniture. Large outdoor pool. 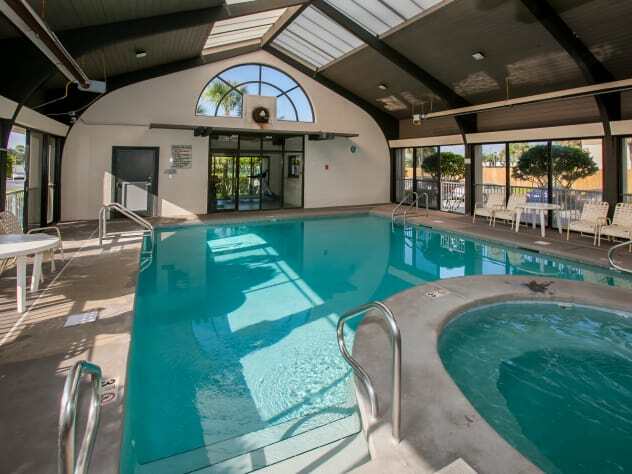 Heated indoor pool, with hot tub and exercise room. 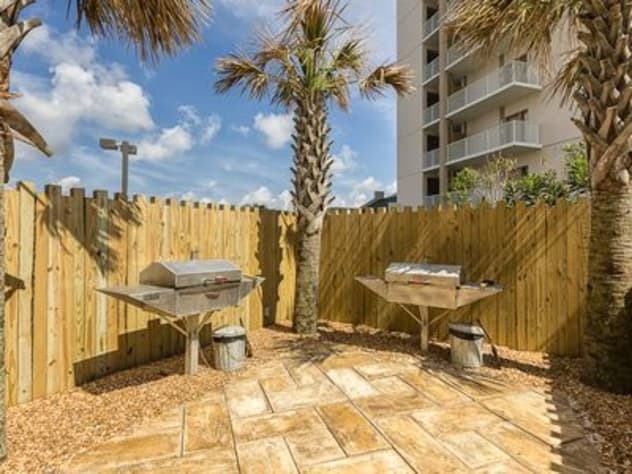 Grill area on ground level. Basketball and tennis court. 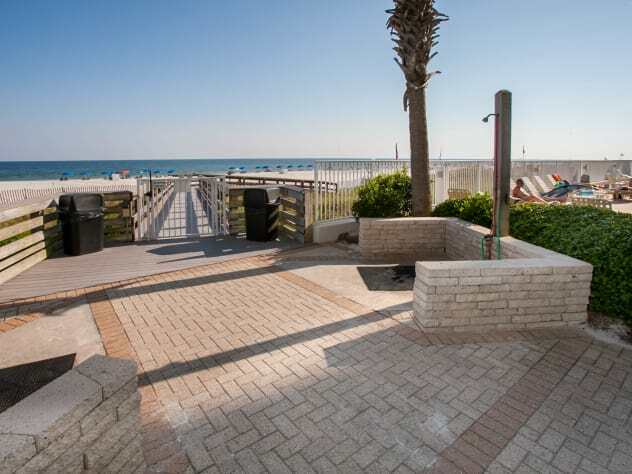 Plus, you are only a few steps away from the beach! Gated parking lot, with on-site security. We hope to hear from you soon! Book directly online. No security deposit required. No hidden fees! 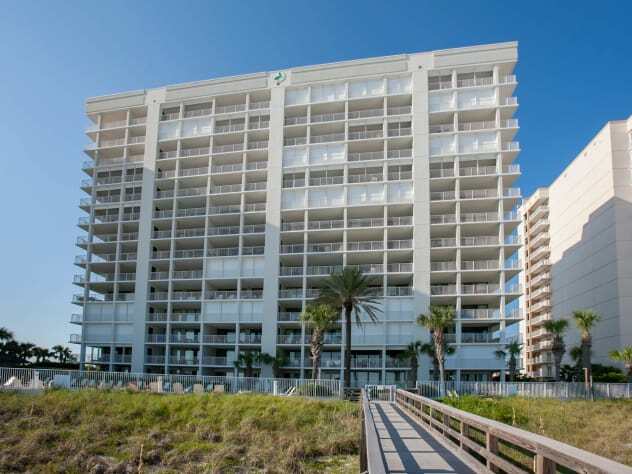 50% of rental cost is due to confirm your reservation and balance is due 30 days prior to arrival. We only accept credit card payment (VISA, MC, Amex, Discover, Diners Club). No checks/no Paypal. Caution: Beware of scammers who create fake condo listings and ask you to send advance payments by check or Paypal. Be sure you are dealing with the actual owners. My family and I recently stayed for spring break. Views were wonderful, condo was just how described and everyone was very nice. Close to lots of activities and things for all to do. Would highly recommend to all and look forward to our next stay. Thanks Greg! Glad you had a good time. Hope your family can stay with us again soon! My wife and I spent the month of January in this condo and couldn't have been more pleased. The condo is exactly as described and as it appears in the pictures. We have stayed in many vacation rentals over the years and this was probably the cleanest and best equipped rental we have stayed in. 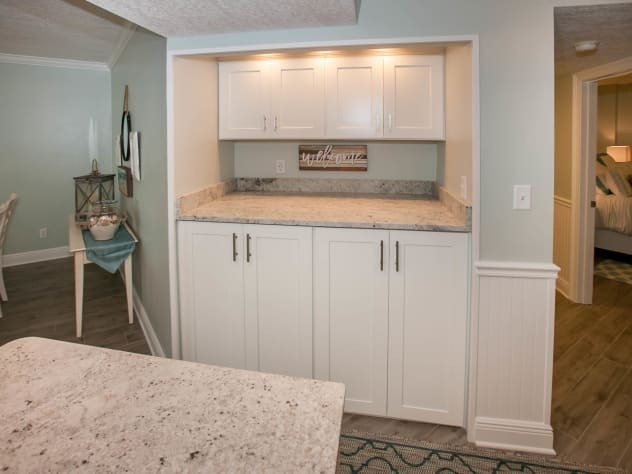 The recent renovation was obviously done with quality in mind, and it showed throughout. Owners were very easy to deal with, and went out of their way to ensure our satisfaction. No hesitation in recommending this unit. Thanks Jerry! Hope you and your wife will stay with us again soon. 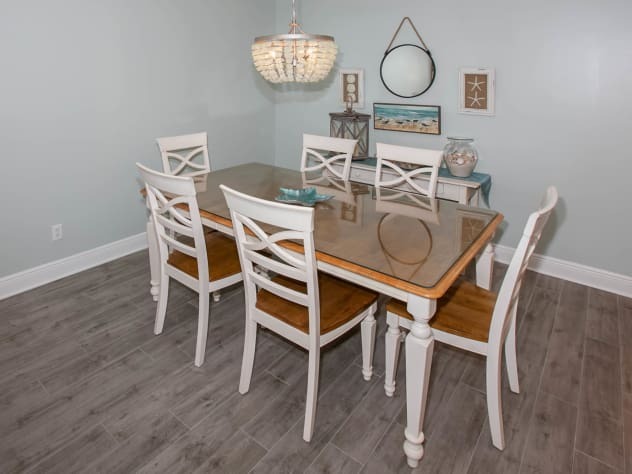 Gorgeous and recently remodeled condo. 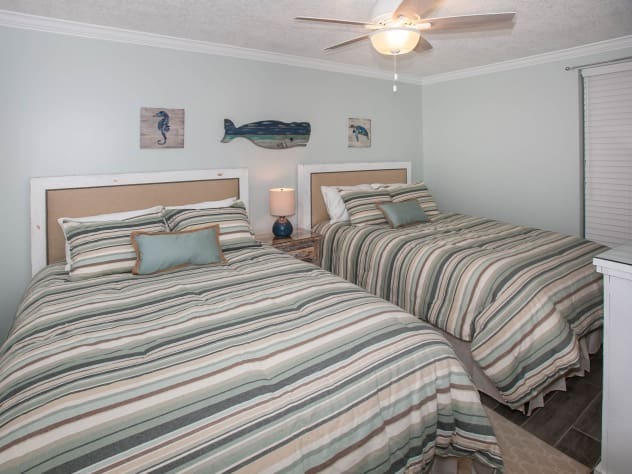 We had a family of five- mom, dad, two teenagers and a “tween” and felt very comfortable inside this spacious 3 bedroom “home away from home” on the beach. The beds were quite welcoming after a long day at the beach/pool/exploring. Kitchen with new appliances and fixtures is also well appointed with all the tools needed to cook a gourmet meal. The condo complex itself is also very nice with a great outdoor pool. 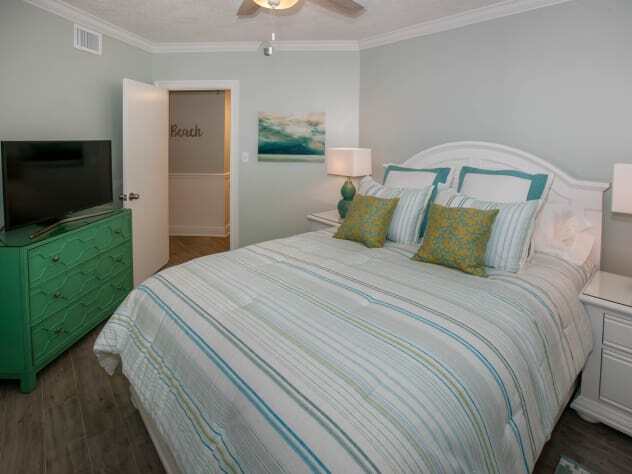 Convenient location to all Orange Beach and the surrounding area has to offer. 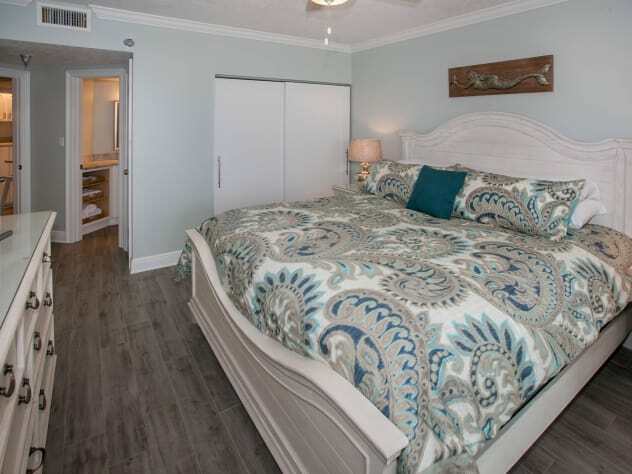 Would highly recommend this condo to anyone looking for a place to call “home” while visiting Orange Beach. Thank you Dan! We are glad you enjoyed your visit and we hope your family will stay with us again soon! 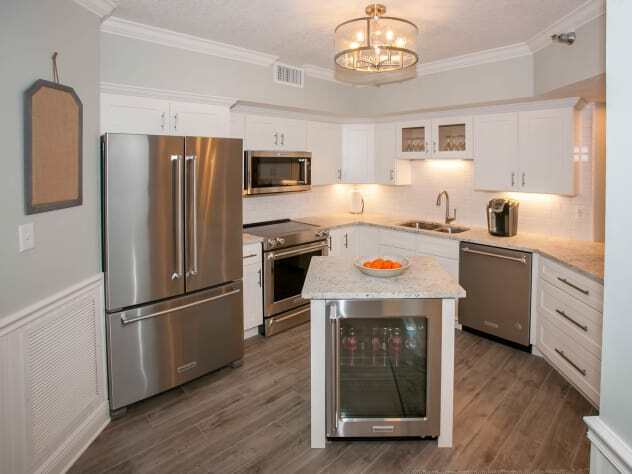 A beautiful condo with wonderful amenities and modern appliances. The beds were so comfortable, everyone in our family commented on that! I loved the view from the large patio for my morning coffee and it wasn't bad for my Old Fashion while we waited for the Uber to take us to any of the great places close by. We loved the vibe of Orange Beach and might make this an annual family event. Thanks Mark and Merrilee! We are glad you enjoyed your stay! Hope the Walsh family can stay with us again very soon! Orange Beach has so much to offer that there is always something new to try. Thanks. Hope your family can return soon. 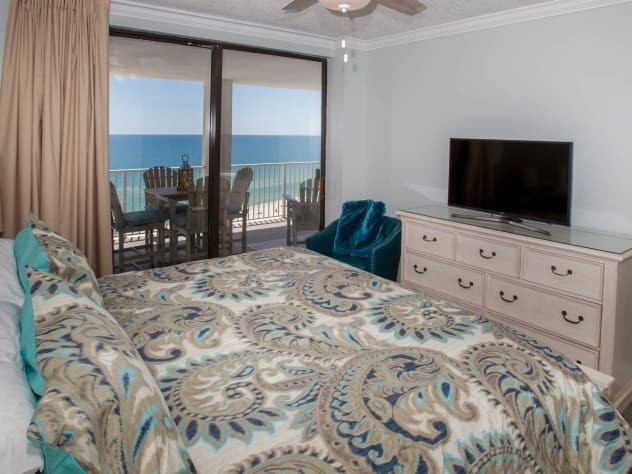 This condo was beautifully decorated with a spectacular view of the Gulf. My family and I arrived Saturday, 6/16 and departed Saturday, 6/23. We loved every minute and hope to return since Orange Beach is a vacation tradition. Thank you Alexis. Hope you can return soon. 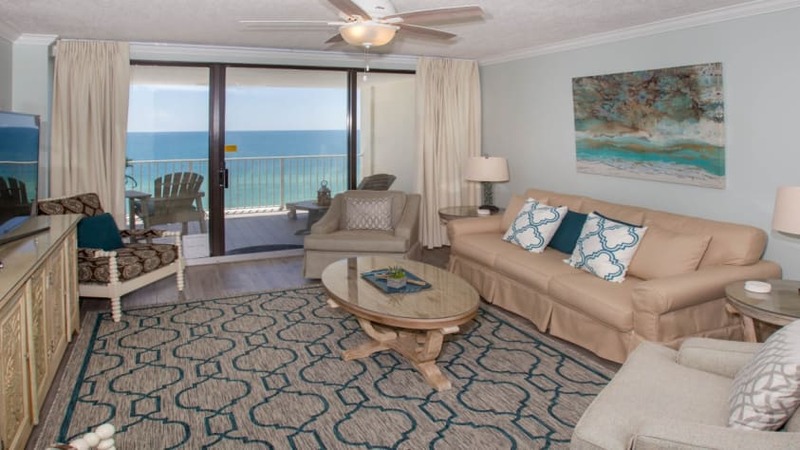 Our family of 6 had a wonderful vacation in this beautifully decorated and well appointed condo. 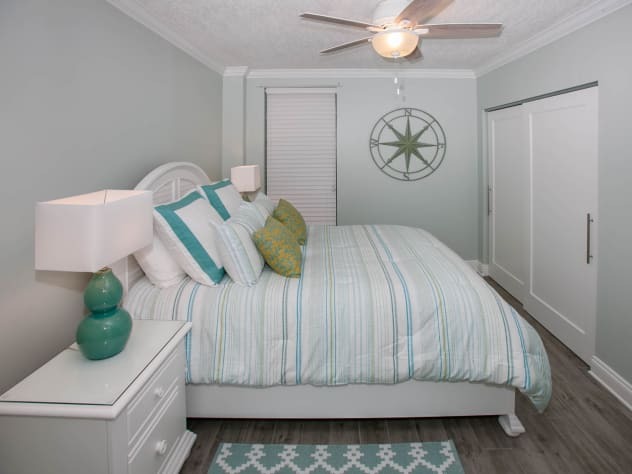 The furnishings truly look like you have stepped into an issue of Coastal Living magazine. We especially enjoyed the extra comforts such as the Smart TVs, mini fridge and spacious balcony. The complex is spacious and clean, and everyone we encountered was extremely friendly and helpful. 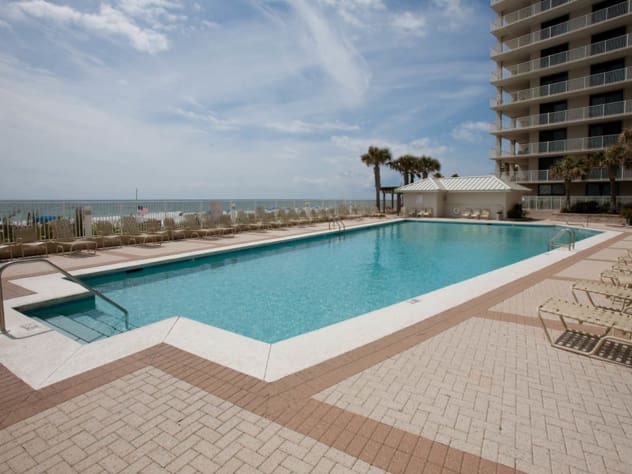 The pool is large with plenty of seating and beach service with chair rental is just a few steps away. We hope to have the opportunity to return very soon! Thank you so much for sharing your beautiful home with us! Thanks for the kind comments. We are glad you enjoyed your stay and hope you can return soon! 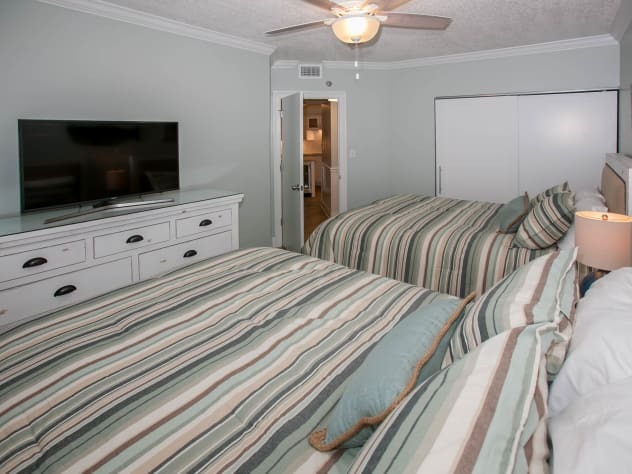 Beautiful condo with top quality furniture, bedding, appliances, and electronics! The smart TV made it easy to connect with our Netflix and Amazon Prime accounts. Spectacular view from the large balcony! Beautiful pool and deck area. Enjoyed the indoor pool and hot tub on cool evenings. Easy access to location and easy access to unit. The owners were very nice and easily available. We hope to visit again soon! Thanks Jeff and Pam! We are glad you had a good time and we hope you can visit again very soon! Our family of 8 stayed here for the weekend and had a wonderful time. The condo has just been renovated and is absolutely beautiful inside as well as beautiful ocean view with a large balcony. The owners were amazing with providing me all the info needed for a hassle free stay. Thanks Tonya! We are glad you enjoyed your stay and hope you will be our guests again soon! Our visit was for a sister's weekend! We especially enoyed the large deck. It is perfect for lounging and enjoying the view of the beach. This unit was recently renovated and is beautiful with plenty of room for a large family or possibly a couple of small families to share. We thoroughly enjoyed my stay.